Background Pharmacies represent a valuable opportunity to deliver weight management services, rather than just the routine supply of weight-loss products. In order to provide optimal services and translation of evidence-based weight management in community pharmacy, a best practice model program was designed and pilot tested to facilitate implementation of such services in pharmacies in Australia. 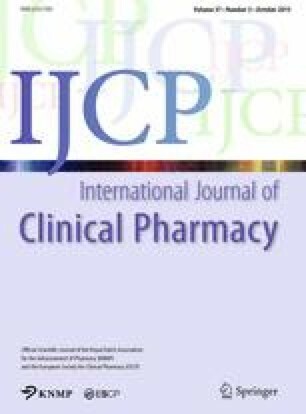 Objective To develop and pilot a pharmacist-delivered, evidence-based, non-product-centred weight management service for community pharmacy in Australia. Setting Sydney, New South Wales, Australia. Method A pharmacy-based weight management service called the A Healthier Life Program (AHLP), for overweight and obese individuals, was developed based on current Australian weight management guidelines and recommendations made by key stakeholders. The pharmacist undertook training to acquire specific competencies to deliver the program. The AHLP involved six individual face-to-face sessions with the pharmacist over 3 months. The intervention targeted three areas: diet, physical activity and behavioural change. Main outcome measures Weight, BMI, waist circumference, blood pressure, dietary intake, and physical activity levels at 3 months were compared with values at baseline. Qualitative feedback on participants’ satisfaction and willingness to pay were also analysed. Results Eight pharmacies provided the AHLP between February and December 2013. Thirty-four participants were enrolled in the AHLP; mean age 50.7 years (SD 15.7) and mean BMI 34.3 kg/m2 (SD 5.3). Of the 22 (65 %) participants who completed the program, six had achieved the target weight loss of ≥5 %. The mean change in weight was −3.5 kg (95 % CI −4.8, −2.2) and waist circumference −2.0 cm (95 % CI −2.8, −1.3) for program completers at 3 months. Furthermore, participants reported overall positive experiences of the program, and identified accessibility of the pharmacy and high comfort level with the pharmacist, as the major advantages. Conclusion The AHLP was well received and participants achieved targeted weight loss. This study demonstrated that an evidence-based patient-centred weight management program can be implemented in Australian pharmacies. The authors would like to thank all the participants and community pharmacies that were involved in the study. We would also like to acknowledge the contributions by a research assistant, Ms Kim Bellamy, for assisting in recruitment, and conducting and transcribing the interviews. We would also like to thank Ms Annim Mohammad for conducting the interviews. OECD. Obesity Update [Internet]. 2014. http://www.oecd.org/els/health-systems/Obesity-Update-2014.pdf Accessed 11 March 2015. Obesity Working Group. Australia: The Healthiest Country by 2020. Technical Report No 1. Obesity in Australia: a need for urgent action. Barton, ACT: Commonwealth of Australia. 2008. ISBN: 1741869285. http://www.health.gov.au/internet/preventativehealth/publishing.nsf/Content/E233F8695823F16CCA2574DD00818E64/$File/obesity-jul09.pdf Accessed 11 March 2014. American Public Health Association. The Role of the Pharmacist in Public Health [Internet]. 2006. http://www.apha.org/policies-and-advocacy/public-health-policy-statements/policy-database/2014/07/07/13/05/the-role-of-the-pharmacist-in-public-health Accessed 11 March 2015. Fakih S, Marriott JL, Hussainy SY. A national mailed survey exploring weight management services across Australian community pharmacies. Aust J Prim Health. 2014; Epub 5 March 2014. doi: 10.1071/PY13118. Rieck A, Clifford R, Everett A. Rieck A, Clifford R, Everett A. Community Pharmacy Weight Management Project: stages one and two. Final report. Canberra, ACT: Pharmacy Guild of Australia. 2006. http://www.guild.org.au/docs/default-source/public-documents/services-and-programs/research-and-development/Third-Agreement-R-and-D/2005-522/final-report-.pdf?sfvrsn=0 Accessed 11 March 2015. National Health and Medical Research Council. Clinical Practice Guidelines for the Management of Overweight and Obesity in Adults, Adolescents and Children in Australia. Canberra, ACT: Commonwealth of Australia; 2013. ISBN: 1864965908. http://www.nhmrc.gov.au/_files_nhmrc/publications/attachments/n57_obesity_guidelines_130531.pdf Accessed 11 March 2015. National Health and Medical Research Council. Australian Dietary Guidelines. Canberra, ACT: Commonwealth of Australia; 2013. ISBN: 1864965754. http://www.eatforhealth.gov.au/sites/default/files/files/the_guidelines/n55_australian_dietary_guidelines.pdf Accessed 11 March 2015. Department of Health. Australia’s Physical Activity and Sedentary Behaviour Guidelines [Internet]. 2014. http://www.health.gov.au/internet/main/publishing.nsf/content/health-pubhlth-strateg-phys-act-guidelines Accessed 11 March 2015. Pharmaceutical Society of Australia. National Competency Standards Framework for Pharmacists in Australia 2010. Deakin, ACT: 2010. ISBN: 9780646545387. http://www.psa.org.au/download/standards/competency-standards-complete.pdf Accessed 11 March 2015.